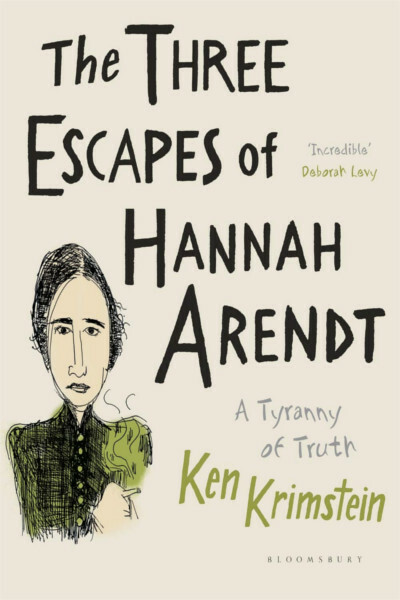 Ken Krimstein conveys a fundamental, crucial message regarding Arendt’s thinking about the world and the possibility of a recurrence of the thoughtless, meaningless evil of destruction that appeared in 20th century totalitarian regimes. A hero of political thought, the largely unsung and often misunderstood Hannah Arendt is perhaps best known for her landmark book, The Origins of Totalitarianism. Arendt led an extraordinary life. Having endured Nazi persecution firsthand, she fled across Europe, coming to live in a world inhabited by such luminaries as Marc Chagall, Marlene Dietrich, Albert Einstein and Sigmund Freud. She ultimately sacrificed her unique genius for philosophy and her love of a much-compromised man – the philosopher and Nazi-sympathiser Martin Heidegger – for what she called ‘love of the world’. Strikingly illustrated, this compassionate and timely biography illuminates the life of a complex, controversial, deeply flawed yet irrefutably courageous woman whose experiences and writings shine a light on how to live as an individual and a public citizen in troubled times.